Ahead of the PhotoPlus Expo, happening in New York this weekend, Nikon announced two new FX-format Nikkor lenses. The first is an upgrade of their Nikkor 70-200mm. 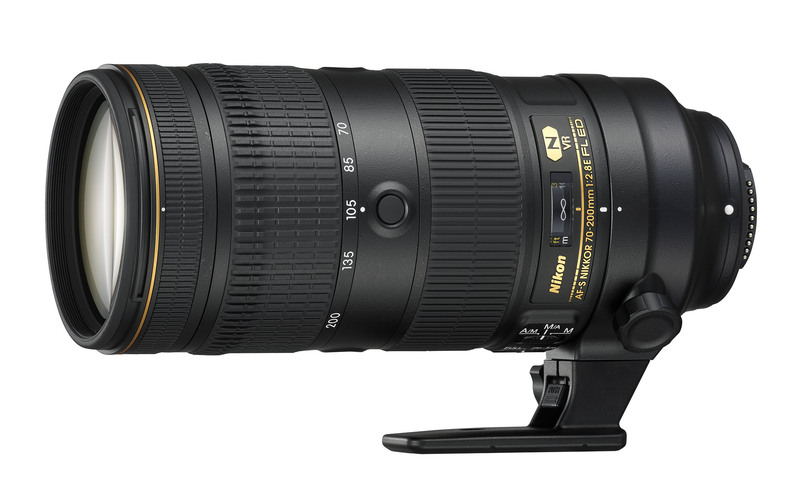 The AF-S NIKKOR 70-200mm f/2.8E FL ED VR sports has been completely redesigned and features an updated optical formula. The formula consists of six ED elements, one Fluorite element, a high refractive element and a Nano crystal coat. Outside of that, it features four stops of vibration reduction, a silent wave motor, and quiet AF operation. It will be available starting at $2799.95. Their other new lens is a wide perspective control lens that Nikon says is their widest to date. The new tilt-shift lens is the PC NIKKOR 19mm f/4E ED. The new lens offers up to 97-degrees of coverage, which Nikon says is the widest in their Nikkor lens line. It features three ED and two aspherical elements. The 19mm is also the fourth lens in Nikon’s Gold Ring Series PC lens line, which includes 24mm, 45mm Micro, and an 85mm lens. The PC 19mm will sell for $3,399.95. Both lenses will be available starting in November, but if you’re going to PhotoPlus you can stop by the Nikon booth and try them out.